Hello! Thank you for using The Lavender Chair to find all the best FREE crochet patterns!!! Before you contact The Lavender Chair, check and see if the answer to your question can be found here! How do I print/save/download the FREE crochet pattern? Due to copyright safety the FREE crochet pattern is limited to the blog post. If you would like to print/save/download the pattern you can purchase the PDF version on Etsy for a $2.00 convinience fee! If you would like to utilize the FREE only version you can take notes on a piece of paper or work from your device. 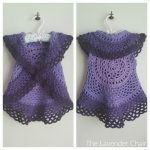 Can I sell the projects I make from The Lavender Chair crochet patterns? You may sell these projects on Etsy in craft fairs or anywhere else. BUT for personal sales only. You are not allowed to sell projects made from The Lavender Chair for mass production. When selling finished projects on sites like Etsy, please be sure to credit The Lavender Chair with a link to the original pattern. I don’t have a specific type of yarn, what can I substitute? This is one of the most commonly asked questions! But, don’t worry I have an answer for you. If you don’t have a specific yarn or yarn type, you can use just about ANY yarn with the same yarn weight! All you have to do it make a guage swatch and match the gauge for the given project. This pattern doesn’t have the size I need! What can I do? If the pattern you are wanting to make doesn’t come in the size that you need you cn always try using a larer hook or thicker yarn. While this isn’t always the best way to work around the design it does work more often then not. Unfortunately, The Lavender Chair only provides limited patten sizes due to the fact that I don’t have appropriate models for all sizes! Help! My project came out too big/small?